When the Crossfit Workout was developed, the founders had something specific in mind. They wanted to come up with an exercise program that would increase strength, endurance as well as the overall stability of the body. And that is exactly what they did! When you start off with the Crossfit workout, you will realize that this regime consists of a wide range of exercises and helps your body get into shape rather quickly! Before you begin with the routine, it’s better to speak to an expert since they would know better about your body! It might be a little difficult to do the exercises at first, but with a little patience and practice, you are definitely going to nail all the moves. 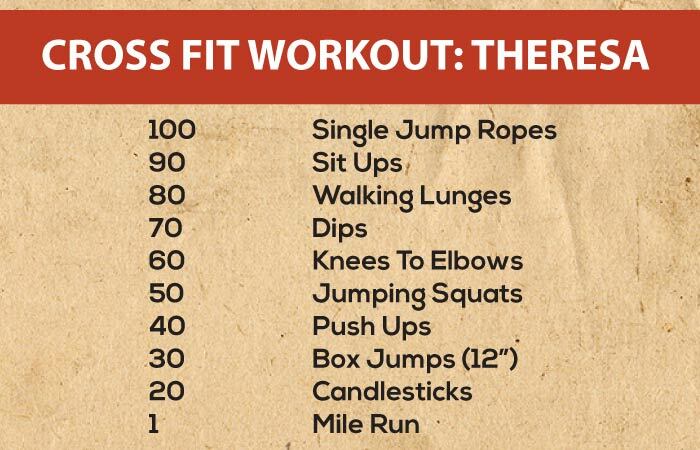 The Theresa Workout is one of the toughest among all other Crossfit workouts. It will surely make you run out of breath, so keep a bottle of water with you. Starting off with a 100 jumping jacks and ending with a one mile run, this exercise is difficult to do. If you cannot nail this on the first day, don’t worry! Keep practicing and you will be there in no time. 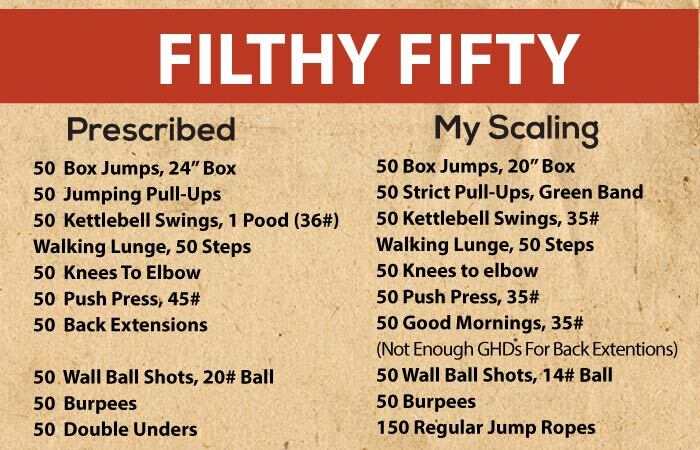 The Filthy Fifty is just like its name. It’s hard to nail and comes with a lot of effort and patience. You will have to stay determined throughout the entire routine in order to finish this at one go. Starting with box jumps, then heading towards tougher exercises, such as jumping pull-ups, bench presses and burpees, this workout is crazy! 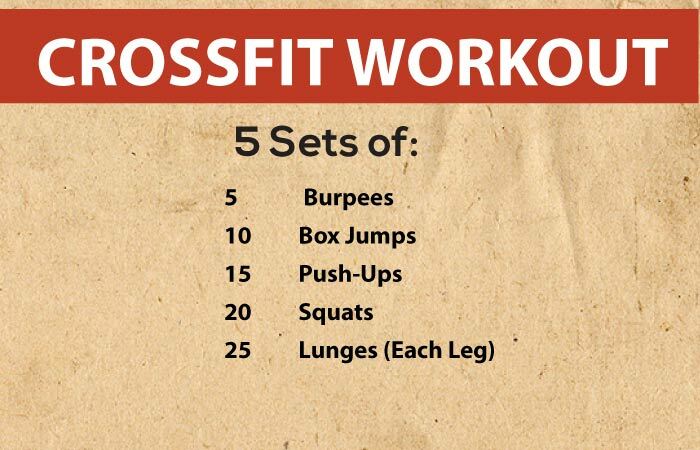 The Basic Crossfit Workout is perfect for beginners. This one doesn’t require any equipment and is ideal for all those who are looking for some quick weight loss. 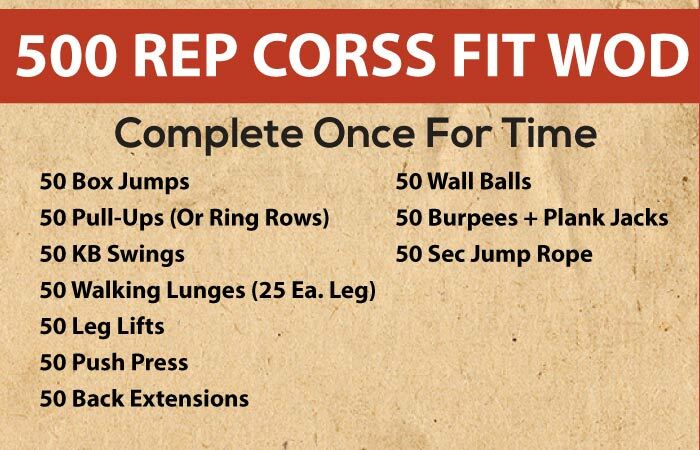 You will have to complete 5 set of each exercise and complete a total of 2 rounds. You can also take a break once you are done with the first round. Remember to stay focused! The 6 Pack Abs Workout is amazing for all those who are hoping to get themselves some flat abs. It has four rounds in total and has 5 exercises. At the end of each round, you will have to run for 1/4th of a mile. It is not the easiest exercise to do, but definitely effective. If you are diligent, good results will surely come your way by the end of this month. 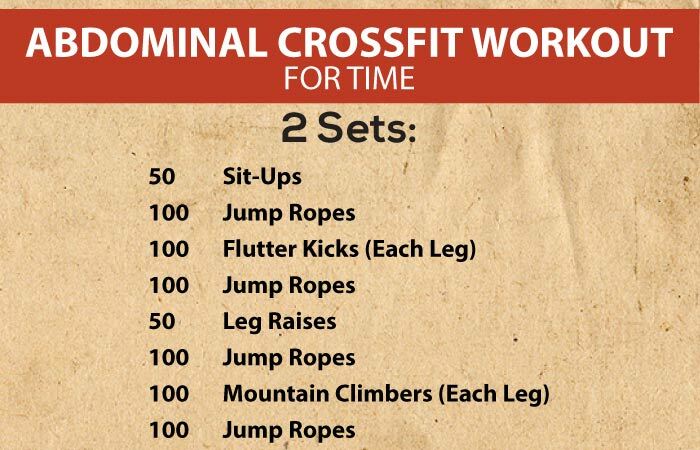 The Abdominal Crossfit Workout has two sets with 8 exercises in total. While sit-ups and leg raises are for 50 reps, the rest needs to be done 100 times. This one has been designed for all those who have a flabby stomach and would like to tone it up! Drink a lot of water in between. And don’t forget to breathe. 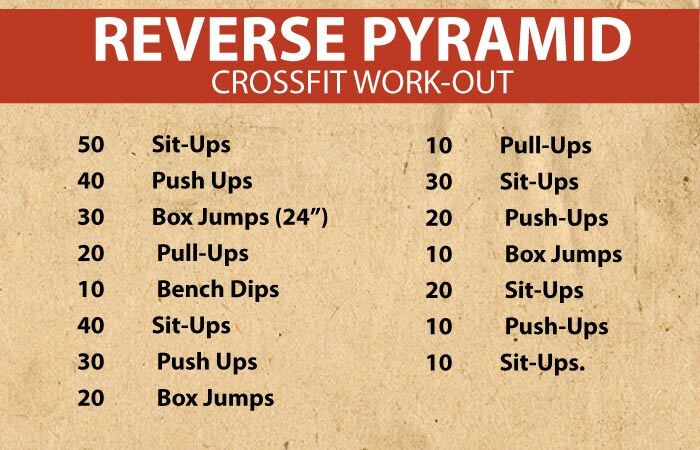 The Pyramid Crossfit Workout is amazing! If you can do this 6 times a week, you are definitely going to shed a lot of pounds within a short period of time. Starting off with sit-ups and heading towards push-ups, box jumps and pull-ups, this workout is insane. Not only will you tone it up, but also change your body drastically. 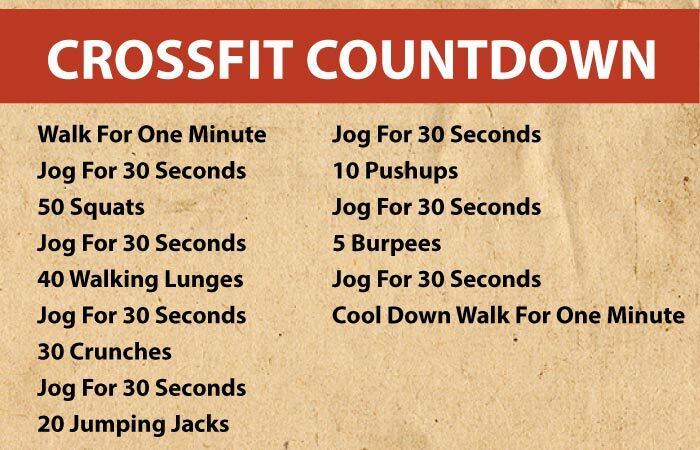 The Crossfit Countdown consists of the perfect combination of cardio and strength training. It has walking, jogging, walking lunges, crunches and Burpees. If you are a beginner or an intermediate, this workout is perfect for you. You can repeat this twice and do it 5 times a week. Diligence and determination will help in reaching your goals quicker than you could imagine. The 500 Rep Crossfit has been designed for all those who are looking for quick results within a short period of time. With 10 moves and 50 reps, you are definitely going to drop those pounds and tone up within a month or so. You can repeat this twice or more if you like. The harder you work, the more effort you put in, and the faster your body will transform. Those who cannot spare 20 minutes a day on exercise can surely try the 10 minute Half Cindy Workout. This one will tone your body like never before and get you into shape. In case you aren’t familiar with this kind of exercise, you might run out of breath by the end of the first round. 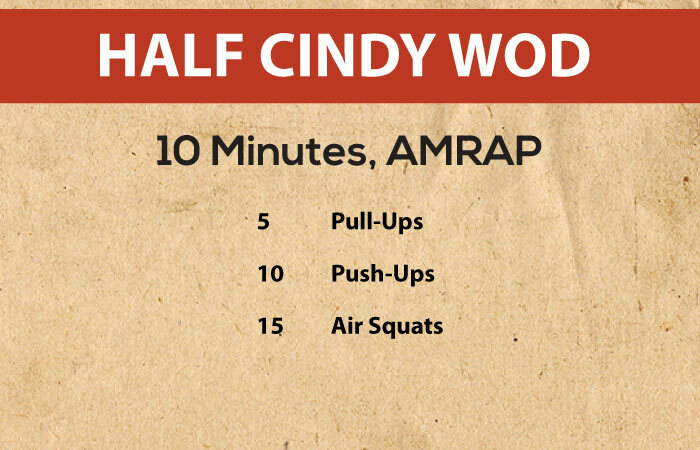 However, with given time and enough practice, the Half Cindy workout shall be a piece of cake! If you would like to modify any of the moves, you can use resistance bands instead of bars. Make sure you keep a track of the rounds. Record well, so that you can know your progress. 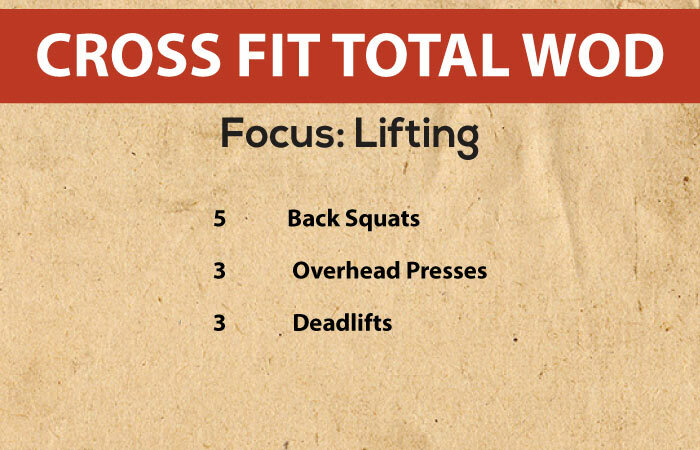 The Crossfit Total workout focuses on lifting. It consists of back squats, overhead presses and dead lifts. Don’t be afraid if you haven’t used weights before. It’s fine! This workout is only going to help you build lean muscles. If you are not too sure about the moves, please consult your personal trainer. Nobody wants you to get hurt while working out. 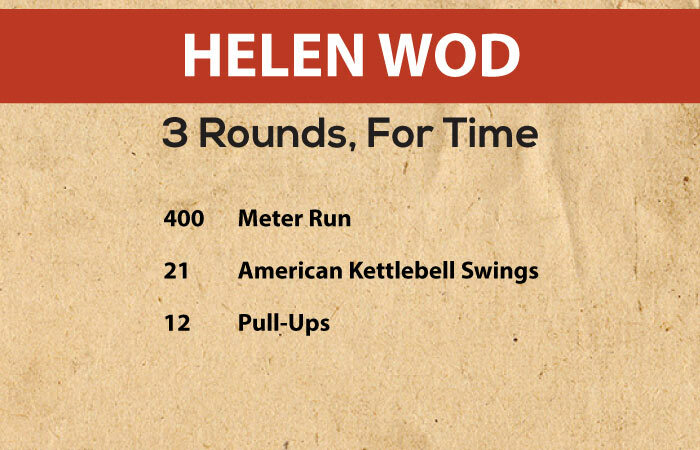 The Helen Workout is challenging and designed for those who have worked out for months. It has 3 rounds in total and can make you run out of breath at the end of the first one itself. One tip to do this workout the right way is not to give in your 100% during the first round. If you do it too fast at the very beginning, you will run out of energy. If you are not doing American kettle bell swings, don’t worry! Try the Russian kettle bell swings instead. 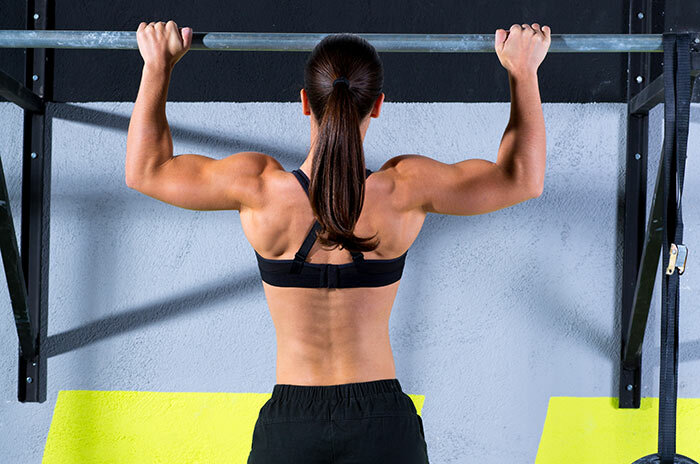 Instead of using a bar for the pull-ups, you can try resistance bands too. The impact will be the same. This workout has been divided into 21, 15, 9 reps. There are no definite reasons as to why the numbers are so odd, but the division between the reps are needed so that you can catch your breath. While doing this workout, always remember to use your hips while throwing the ball. In order to reduce exhaustion, catch and throw the ball at the highest points. While doing Burpees, it’s best not to stop. This workout requires you to push as hard as you can. You need to keep going for 3 minutes and then rest for the next 2 minutes. It will not only help you get rid of abdominal fat, but also tone this section of your body. If these moves come across as too easy, add some weights in order to make it challenging. If it’s too difficult, there are ways to modify the workout too. You can always alter the reps for this purpose. However, it’s important to remember not to give up. Before you start off with the workout, make sure you do a warm up for 2 minutes. Spot jogging and jump rope should suffice. The handstand push-ups are the toughest to do out of all the exercises. They need a lot of shoulder strength throughout. You will have to complete as many rounds as you can within 20 minutes. The more effort you put in, the better the results will be. This workout is pretty straightforward and has a good combination of bodyweight exercises. Not only will you have a banging body at the end of this, but also tone up within 20 minutes. The point is to be diligent. If you can stay focused throughout, reaching your goals should be a piece of cake. 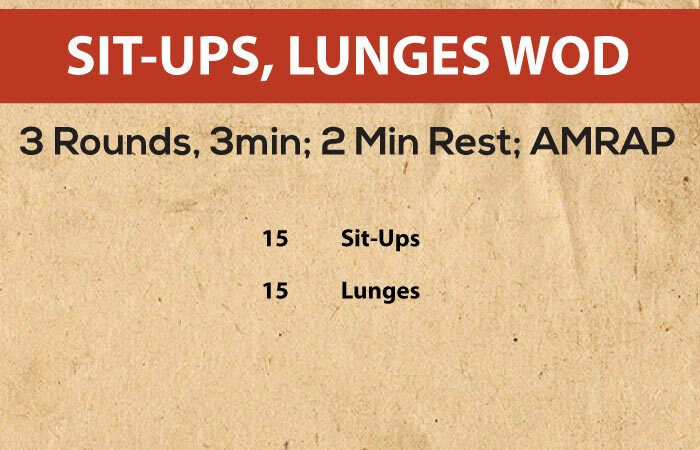 The biggest challenge throughout this workout is to finish the first 3 minutes. Once you are through with that, the rest will be easy. 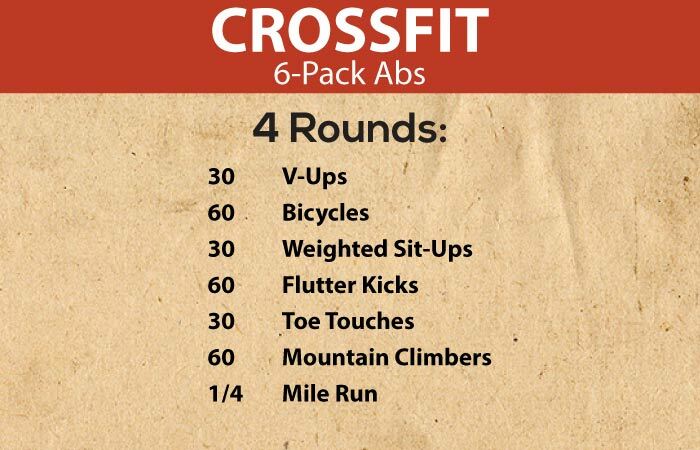 The Seven Crossfit Workout consists of 7 exercises and need to be done a total of 7 times. It has been discovered off late that if you do the Crossfit Workout on a regular basis, you can develop muscle strength and increase your fitness levels faster than the gym workouts. Since it doesn’t require much equipment, you can do some of them at home without having to worry about the money! 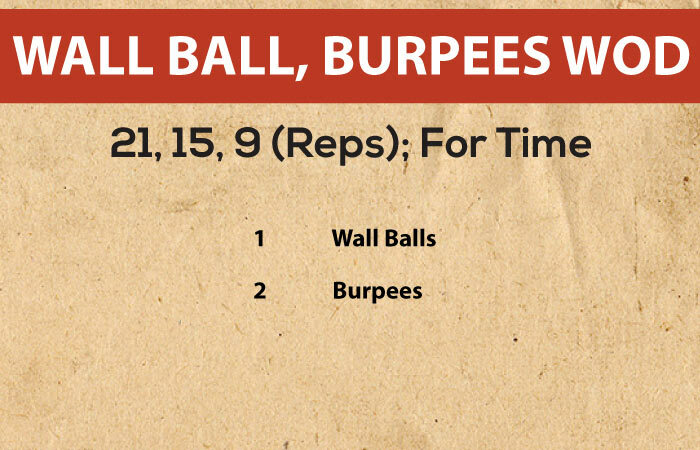 Crossfit Workouts are not just challenging, but fun at the same time. Since your moves are going to be different every day, you will continue to stay interested and challenged. Crossfit Workouts are ideal for all those who are looking for the perfect combination of cardio and strength training. This will help you become flexible and stronger with time. This workout will not only help you lose weight, but also gain muscle at the same time. Staying healthy and fit is definitely not the easiest thing in the world, but it’s better to always try than to never do it at all. Crossfit workouts are something that will transform your body in ways you’ve never imagined. 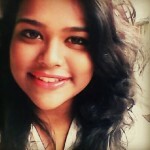 Make it a part of your life and I assure you won’t regret! If you have any questions or ideas concerning this article, feel free to share them in the comment box below! Till then, stay safe and keep exercising.